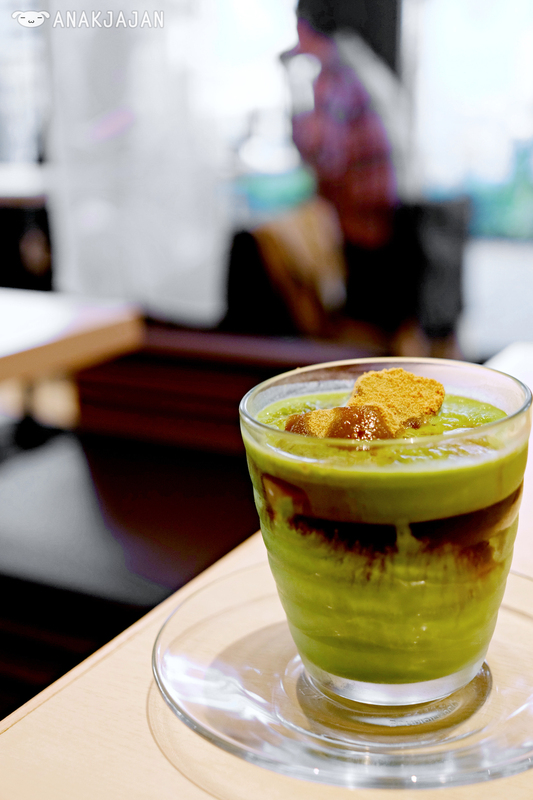 When in Japan, eat Matcha Green Tea!! 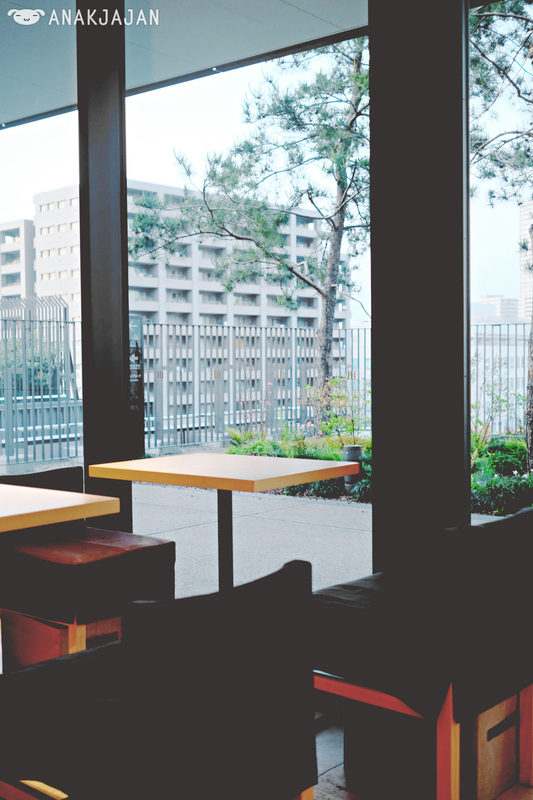 If you are a huge fan of matcha, AnakJajan guarantee you will obviously gone mad the minute you reach Japan because you can easily find anything green tea/ matcha almost anywhere. 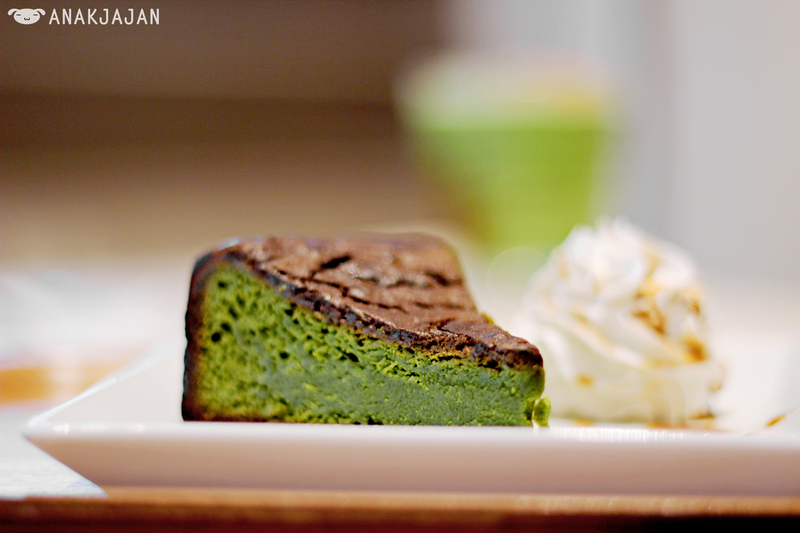 Nana’s Green Tea is a popular matcha chain established 14 years ago in Japan. 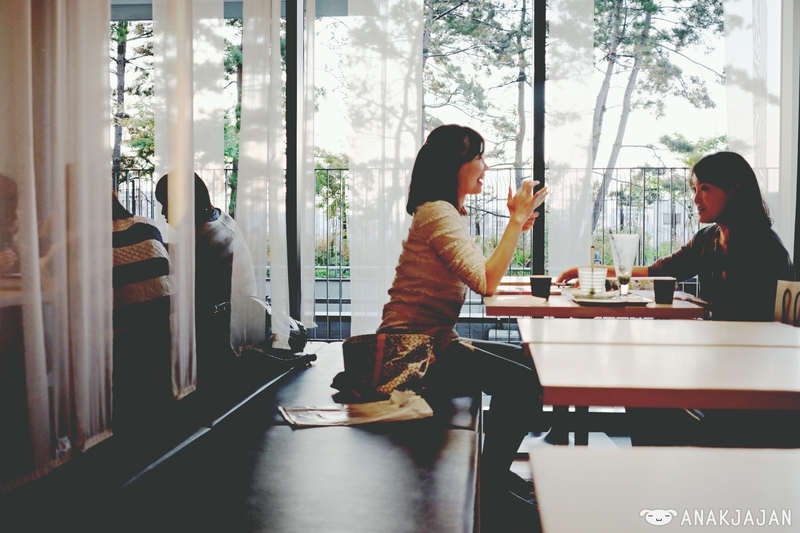 They are the pioneer of Japanese Matcha Greentea Cafe. 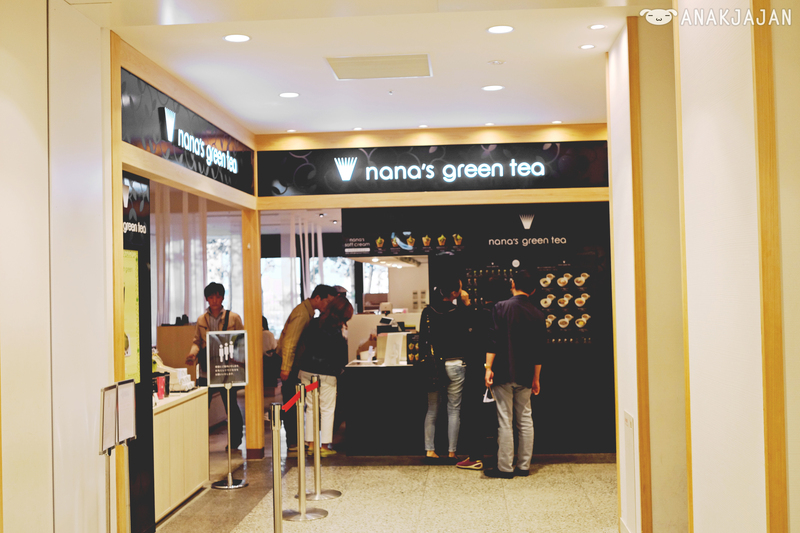 But nowadays you can find Nana’s Green Tea outlet in Singapore and Malaysia too, good news right?!! 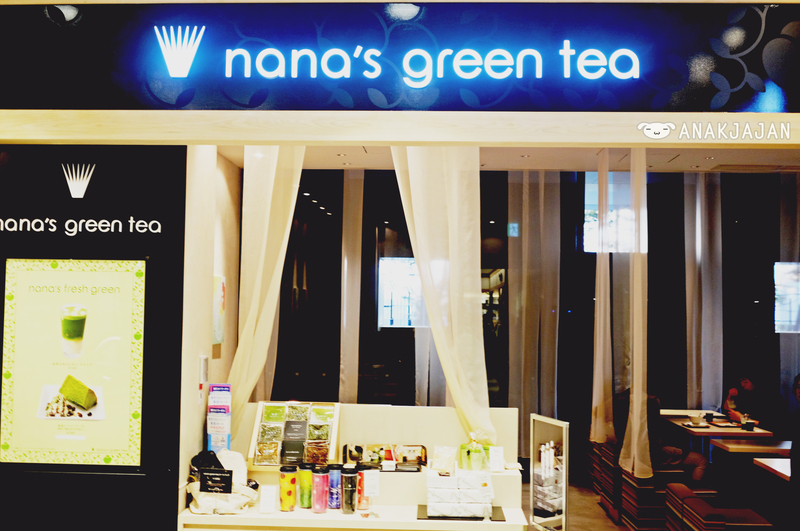 Nana’s Green Tea has more than 60 branches opened throughout Japan which are in Hokkaido, Miyagi, Tokyo, Kanagawa, Ibaraki, Saitama, Chiba, Ishikawa, Gifu, Shizuoka, Aichi, Kyoto, Osaka, Hyogo, Okayama, Hiroshima, Kagawa, Fukuoka and Kumamoto. 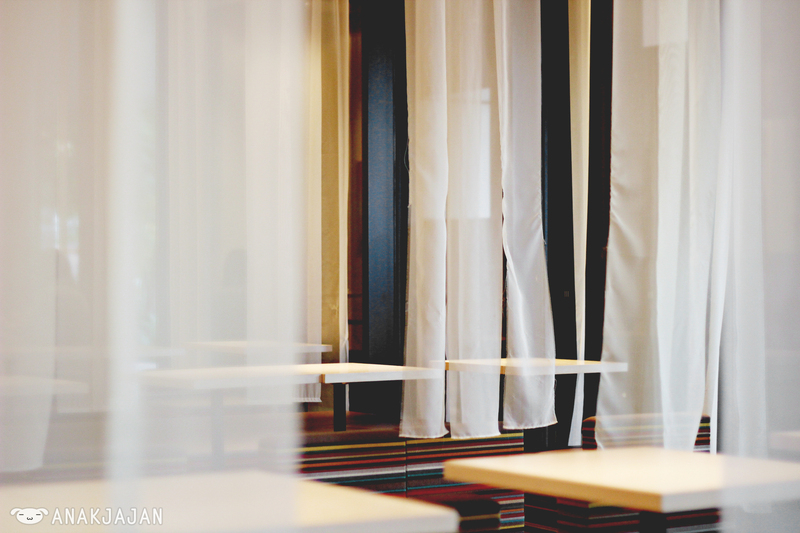 After that, they expanded their business overseas to other countries such as HongKong, China, Singapore and Malaysia. Being Indonesian, AnakJajan think most of you travel to Singapore or Malaysia a lot rite? So it will be easier for you to visit these two nearest branch from our country. You can find it at The Atrium @ Orchard in Singapore or The Gardens Mall in Kuala Lumpur Malaysia (detailed address listed at the end of this post). 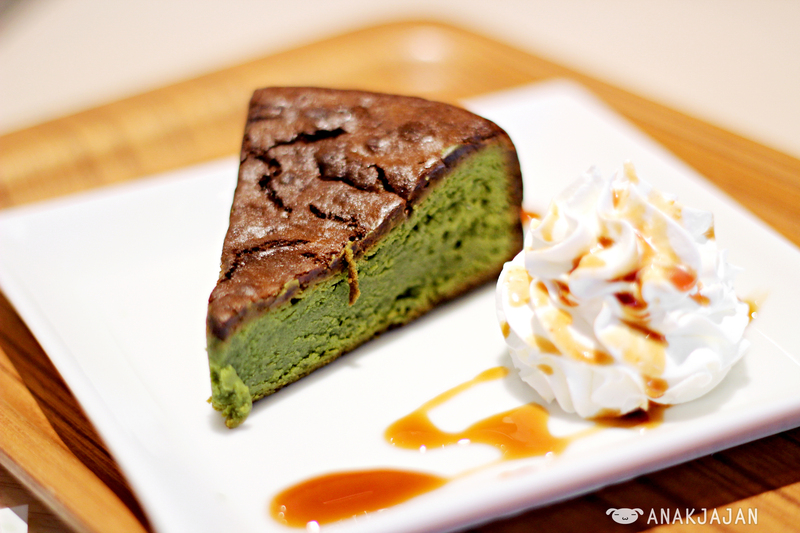 Almost all of the menu Nana’s Green Tea offers are high quality Japanese Matcha Green Tea base dessert and it comes with many variety, but don’t worry because they have Udon and Rice Bowl menu for more filling and savory option as well. 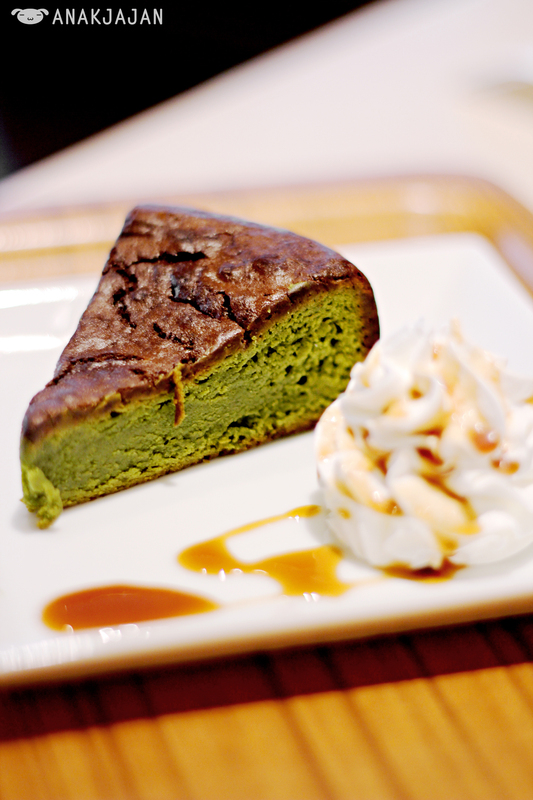 At Nana’s Green Tea you can find light matcha drink, matcha latte, matcha frappe, hojicha latte, adzuki latte, black sesame latte, coffee, juice, parfait, ice cream, rice-flour dumpling soup, chocolate, cake, udon, rice bowl with price range from 330 yen to 1.050 yen (1yen = IDR 110). 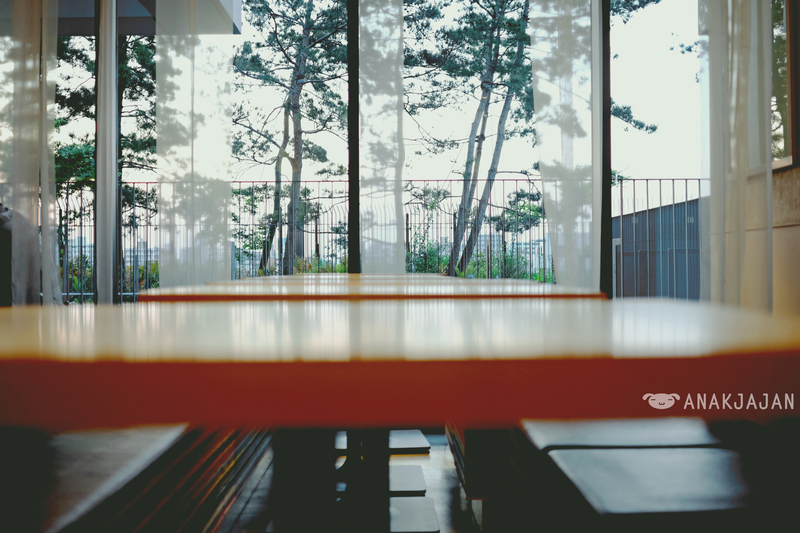 AnakJajan visited their branch at Tokyo Solamachi (Tokyo SkyTree), their shop is really lovely, simple yet romantic with the use of curtains as separator between the seats and huge window facing outdoor terrace area. Since we had more than 5 meals already on that day (breakfast, sushi, dessert, snacks, chocolate ‘teatime’), we only ordered two desserts menu for our second teatime 😀 We ordered Bracken-starch Dumpling on Matcha Frappe 670 yen and Matcha Gateaux Chocolat 580 yen (1yen = IDR 110). 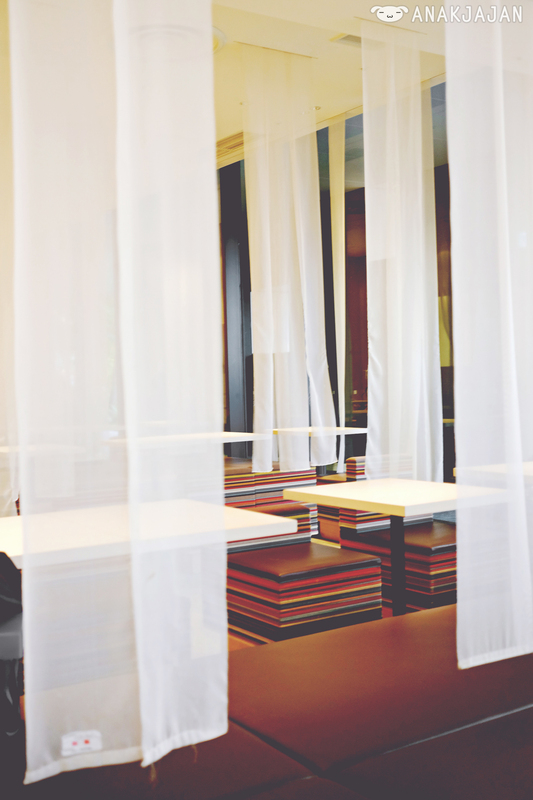 Don’t forget to request for ENGLISH MENU so it will be easier for you to order. 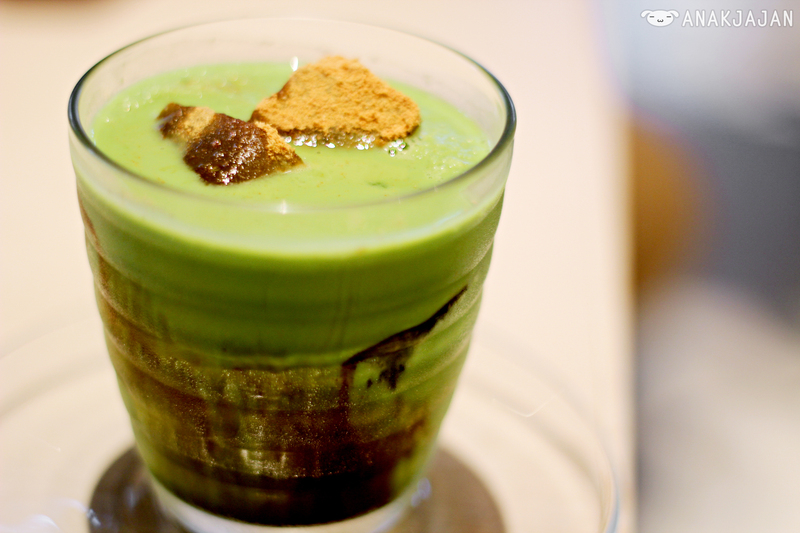 There are 6 topping selection for Matcha Frappe such as ice cream, softcream, jelly, whipped cream, etc. AnakJajan chose the most unique topping that is Bracken-Starch Dumpling, the texture was similar with jelly with a nice smoky aroma in it. 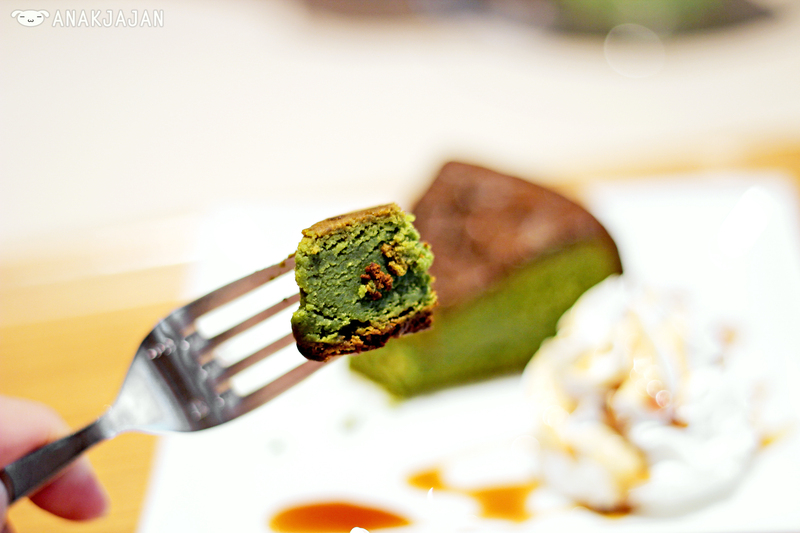 Goes really well with the thick matcha frappe. 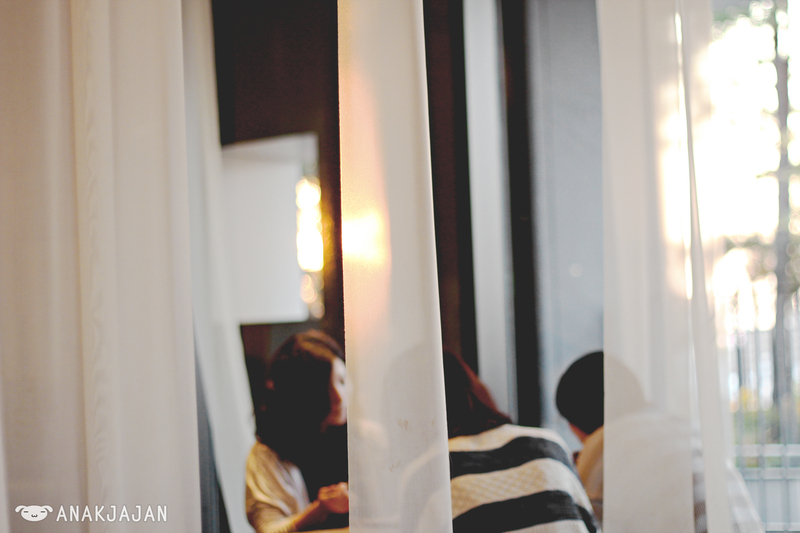 Overall, Nana’s Green Tea menus have a really nice quality and it was delightful with the right amount of sweetness and richness. Totally will come back if we have a chance. Lets’ Travel and Jajan!! I really love this post, I have been following you quite a while on Instagram, I love green tea, although never tried it on a shape of cake, I usually have it on green tea latte or matcha ice cream. Here in Bali most of Japanese Restaurant was owned by Japanese itself so I really love to visit it here. I could give you some reference if one day you and Mrs. Jajan come to Bali. tetap sama seperti cake yang cici pesan di atas ga ?